Boston — In an effort to increase public access for fishers and boaters across the Commonwealth, the Baker-Polito Administration today announced the completion of 11 fishing and boating access projects valued at more than $1.9 million that include boat ramp and fishing pier renovations, parking lot improvements and a new dock. 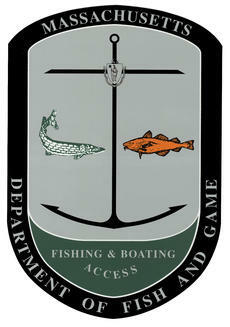 The Department of Fish and Game’s (DFG) Office of Fishing and Boating Access (FBA) manages the construction, repair and operation of state boat ramps, canoe and car-top launch sites, sport fishing piers and shoreline fishing areas. The FBA oversees facility design and construction, which is usually done by private contractors. The fiscal year 2016 projects are listed below by region. Dracut - Mascuppic Lake: FBA made $40,000 in repairs to the boat ramp located off Tyngsboro Road. Managed by the Town of Dracut, the facility has parking for five vehicles with trailers and five single parking spaces. The warm water lake offers good fishing for largemouth bass, white perch, pickerel, and tiger muskie. Gloucester - Annisquam River: FBA and the Seaport Council provided $72,000 for new lighting at the Dunfudgen Landing access off Emerson Avenue in Gloucester. The facility, managed by the City of Gloucester, provides 48 parking spaces for vehicles and trailers and access to the Annisquam River and Gloucester Harbor. Recreational boating and fishing for striped bass, bluefish and flounder is popular from this location. Methuen - Merrimack River: FBA managed construction of a new boat access area off Riverside Drive that is managed by the City of Methuen. FBA expended $700,000 in FY2016 on the $1 million project, which was started in FY15. The facility provides parking for 19 vehicles with trailers and 11 car-top parking spots. Construction included the boat ramp, parking lot, and the installation of boarding floats. This section of the river is very popular with all kinds of boaters and provides good fishing for largemouth bass, smallmouth bass, catfish and shad. Harwich - Allen Harbor: FBA provided $370,000 for reconstruction of the parking lot, revetment and bulkhead at the coastal boat access on Lower County Road. Managed by the Town of Harwich, the facility has parking for 12 vehicles with trailers and provides access to Nantucket Sound, which has good fishing for striped bass, bluefish, flounder, scup and other fish. Scituate - Scituate Harbor: FBA made $2,000 worth of repairs to the boat ramp on Jericho Road. Managed by the Town of Scituate, the facility provides parking for 43 vehicles with trailers and 12 single spaces. The area has good fishing for striped bass, bluefish, black sea bass and flounder. Yarmouth - Bass River: The Division of Marine Fisheries recreational fishing permit fund provided $90,000 and FBA provided $30,000 for reconstruction and improvements to an old fishing pier off South Street. Recreational anglers can catch striped bass, bluefish, scup, and fluke from this pier, which is managed by the Town of Yarmouth. Brookfield - Quaboag River: FBA managed the construction of a new cartop access site on Route 148 in conjunction with the Massachusetts Department of Transportation. The $100,000 project provides access to the Quaboag River and Quaboag Pond. Managed by the Town of Brookfield, the facility has parking for six vehicles and the area offers good fishing for largemouth bass, smallmouth bass, pickerel and panfish. Rutland - Long Pond: FBA made $14,000 worth of repairs to the boat ramp located in the Rutland State Forest. Managed by the Department of Conservation and Recreation, the site has parking for 40 vehicles with trailers and provides good fishing for trout, largemouth bass, white perch and pickerel. “Maintaining and improving access to our beautiful waterways continues to be a priority and these funds will be well used to increase access and hopefully encourage people who have not been to the area to put a boat, canoe or kayak in and enjoy all the area has to offer,” said State Senator Anne Gobi (D-Spencer). Easthampton - Nashawannuck Pond: FBA constructed a new boat access off Water Lane that will be managed by the Town of Easthampton. The $160,000 project includes the boat ramp and parking for four vehicles with trailers and four single car-top spaces. The pond is stocked with trout by DFG’s Division of Fisheries and Wildlife and offers good fishing for trout, largemouth bass, and pickerel. Easthampton - Connecticut River: FBA rebuilt the float system valued at $8,000 at the boat access off Route 5. This facility is managed by the Department of Conservation and Recreation, and provides parking for 32 vehicles with trailers and direct access to the Connecticut River. It is popular with recreational boaters and anglers who seek largemouth bass, smallmouth bass, northern pike, walleye, and shad. New Marlborough - Thousand Acre Pond: FBA made $40,000 in repairs, including reconstruction of the boat ramp and expansion of the parking area at the Hotchkiss Road facility. Managed by the Division of Fisheries and Wildlife, the facility provides parking for eight vehicles with trailers and good fishing for largemouth bass, pickerel and panfish. The Office of Fishing and Boating Access is charged with providing boating and fishing access to over 1,200 miles of seashore and hundreds of lakes, ponds, rivers, and streams in the Commonwealth. The agency oversees more than 290 boat and canoe launch sites, along with shore fishing areas and fishing piers. Appropriations for the acquisition, construction, and maintenance activities of the FBA come from several sources. State general funds, bond appropriations, revenue from the sale of the Division of Marine Fisheries’ recreational salt water fishing permits, and federal reimbursements by the U.S. Fish & Wildlife Service under the federal Sport Fish Restoration Act all help fund FBA projects. Click here for a table of information about the individual access locations, maps, and fisheries information. FBA provides boat and canoe access sites, shore fishing areas, and sport fishing piers at more than 275 locations on coastal waters, great ponds and rivers throughout Massachusetts.